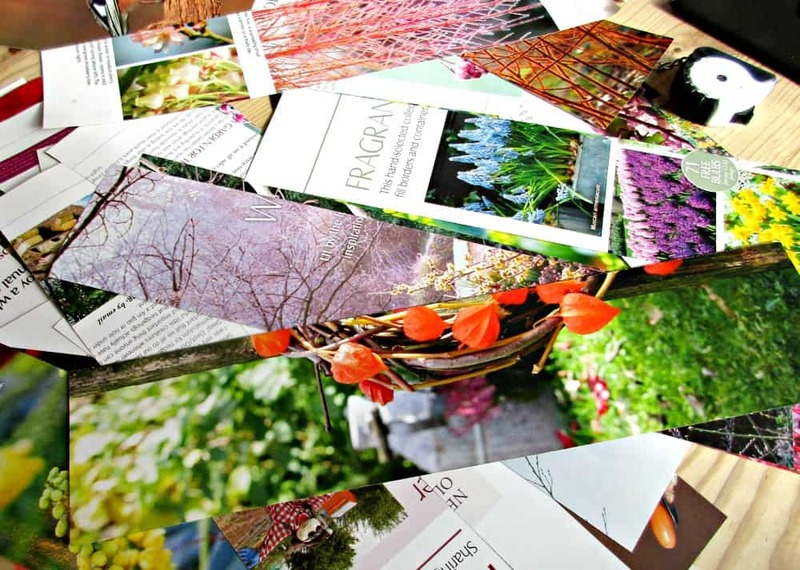 I recently got given a huge pile of old magazines, which when added to the stack I already had at home, made me realise that we really needed to come up with some crafty ideas to use them up! Some we used in our Easter Egg Decoupage, this time we decided to make something a little more substantial. 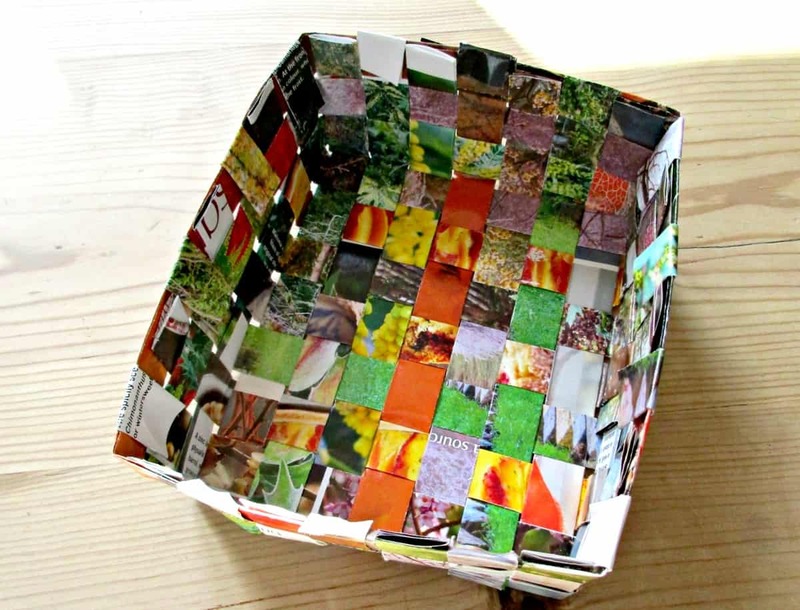 There are a few different ways you can make baskets out of recycled magazines, this basket weave design is probably the simplest and quickest, and I love the checkered pattern which it creates. 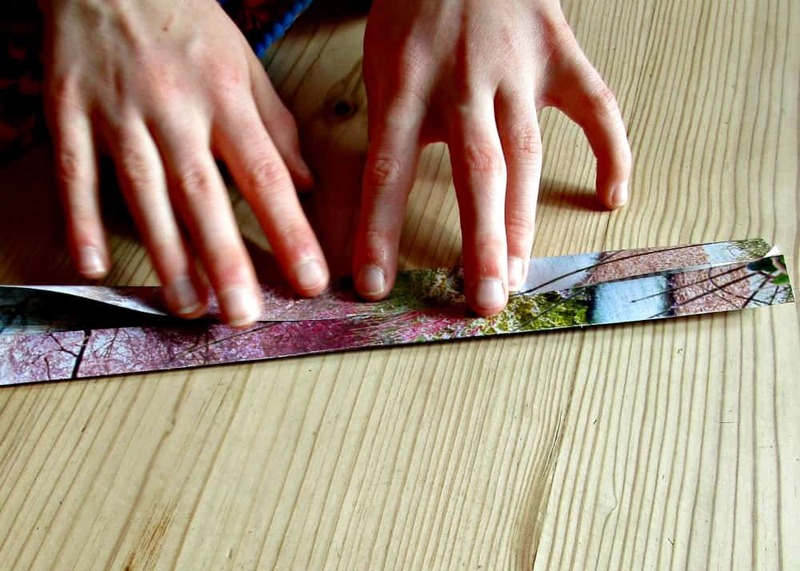 We started by cutting strips from our magazines. 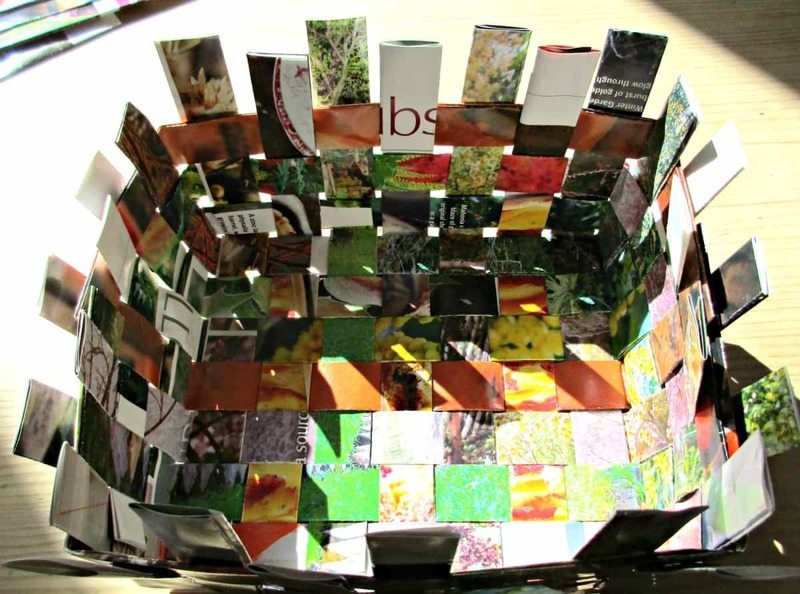 We chose glossy ones as they had thicker pages than some of the others resulting in a sturdier basket. Our strips were about 5cms in width. Each strip will be folded twice, so your weave will end up a quarter of whatever you start with. Folded it in half to make a crease then unfolded it again. We then folded each side to the crease, and then folded the whole strip in half along the original crease, resulting in strips just over 1cm in width, made up of 4 layers. Doing it this way means that if your edges are uneven when you started, they will not show as they are now tucked inside. Despite making really sharp creases (you can see us using a knife to do this above), our strips still tried to open up so we decided to run a little glue along the inside of each one, to hold them firm, and left them to dry. We also used a few dabs of glue as we went along to hold everything in place. 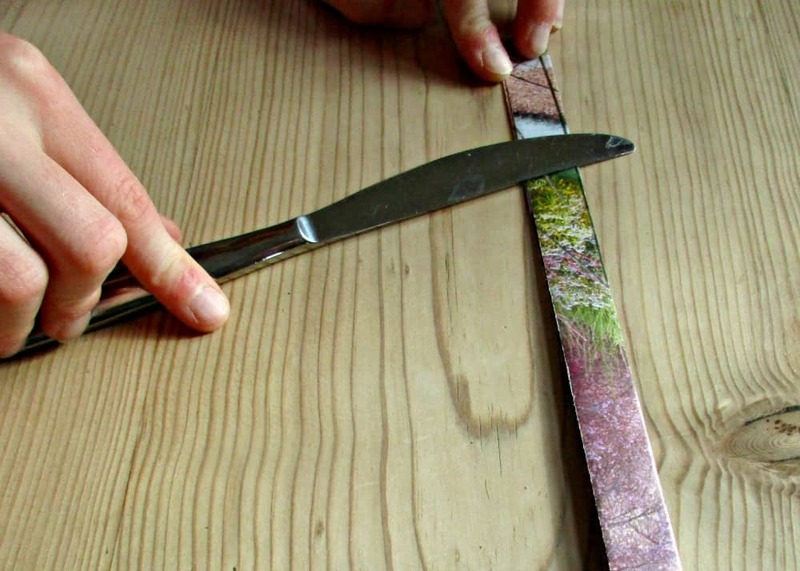 Once the base had dried, we removed it from the clipboard, and bent the remaining strips up to form the sides. We then continued to weave the sides. This time we used little pieces of double sided sticky tape to hold everything in place (not on them all, just the odd one). I would say that this isn’t essential, but it does make it easier – particularly for a child. When we got to the top, we bent the outer ends in, and secured and cut the inner ends off, to finish. As you can see from the photo, the sides of our recycled magazine basket is 3 strips high. If we had made it an even number of strips we would have been able to finish off by tucking our ends into the weave, which would have resulted in a neater finish – so that’s what we will do next time! Our recycled magazine basket is really cute, and it’s lovely to finally use up something that normally would end up in the recycling. You could fill these baskets with home-made goodies, and use them as gifts. 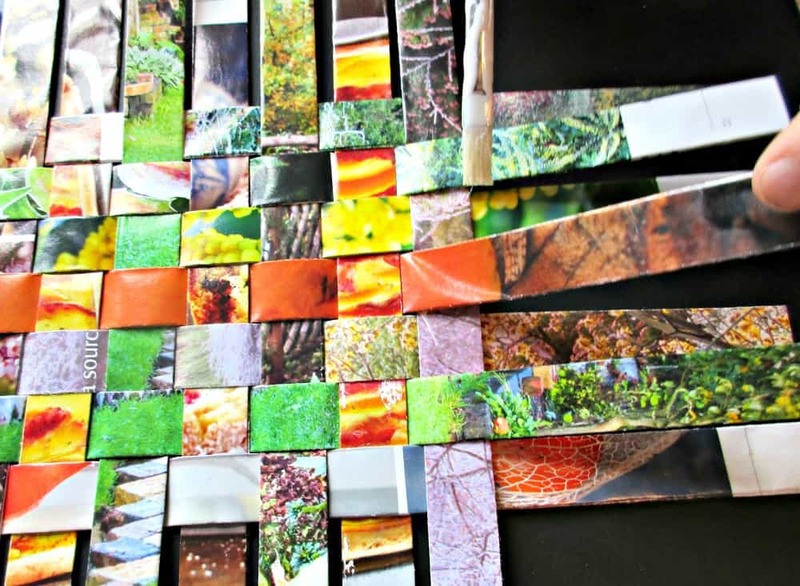 If you enjoyed this recycled craft idea, why not check out our Pretty Pocket Purses made out of pockets from an old pair of jeans, or our upcycled soap post. Wow that’s really clever!! I love that idea, at the moment I’m using an old toy box for my magazine do still recycled but not very pretty!! Now that is what you call a trashtastic ( you see what I did there!) basket I love this idea. So neat. Aren’t they fun to make? We’re thinking about how we could do a similar thing with plant fibres, but haven’t worked out what natural fibres would work yet. Actually think I just have, so thanks Oliver! What a great idea. 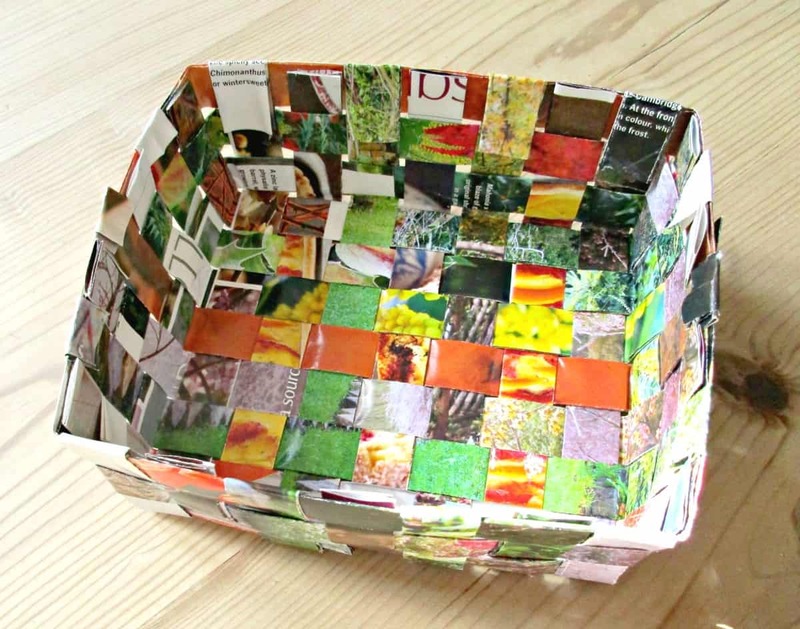 My kids love decoupage and I never thought of using old magazine. Bet it would look nice with old black and white newspapers too! Great idea! I always have hundreds of magazines lying around, a few baskets would be cool and also help out a little with our chronic lack of storage in this house. Pretty and useful-win win! 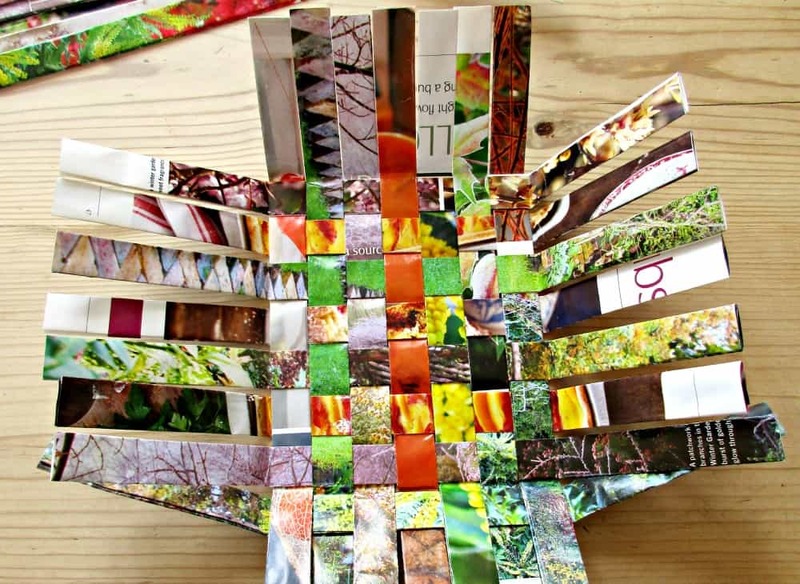 Such a lovely use of magazines. I have a stack here too about to be thrown out, I might just hold back. I remember weaving them into outdoor seats in guides and used the principle to make advent calendars a couple of years ago. Now you have me thinking again. 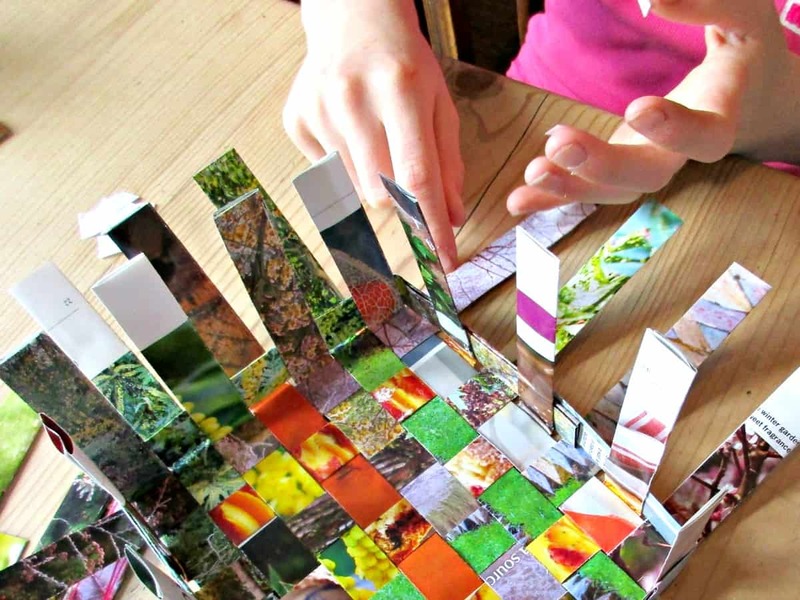 A lovely step by step guide, I wonder if the children here might manage this one in activity hour? I might just give it a go. 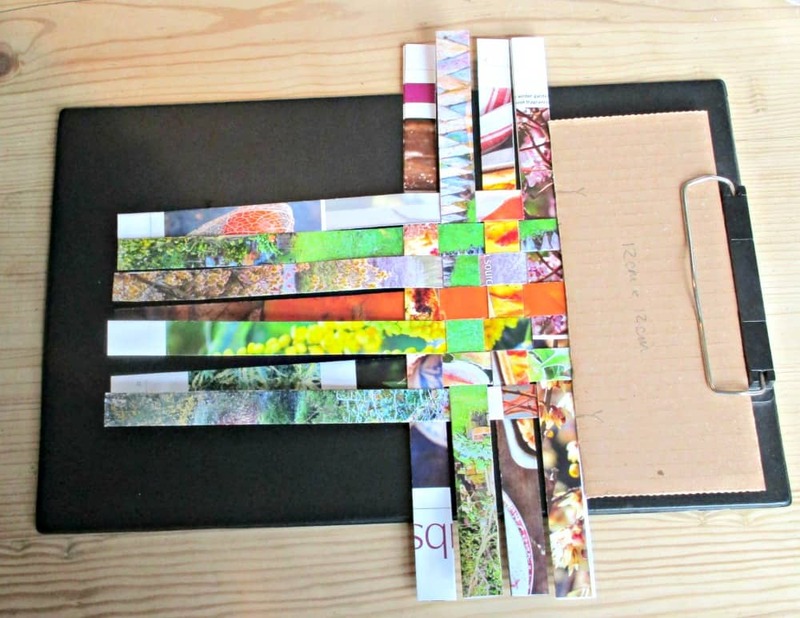 Thank you so much for sharing another great upcycled idea on #Trash2Treasure. I think the children would love making them, and you could always do some prep in advance, or even make the base out of cardboard and have them just weave the – look forward to seeing them on trash 2 Treasure soon! Sarah I love all the pretty colors on this basket. It is so cute and it’s repurposed which you know I love! !